NB: indicates a televised match. Date and time may be different from the original fixture list! Bray Wanderers and Sligo Rovers, as the top two League of Ireland teams not qualified for European competition, were invited to participate in this competition. Full details will be posted on a separate page (link above). Times and dates can vary due to TV and weather! 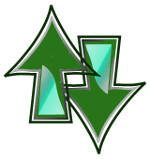 The three teams at the bottom of the Premier Division will be relegated, and only the winner of the First Division will qualify for promotion. For the 2018 season, there will be ten teams in each Division. 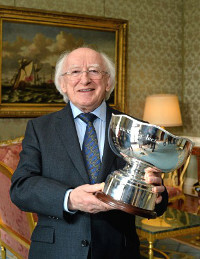 The President's Cup was established in 2014 after President of Ireland Michael D Higgins offered to present a trophy for such a competition. Premier Division champions Dundalk unsuccessfully sought to reverse last year's result when they were beaten by Cork City. Due to pitch renovations at Oriel Park, the FAI Senior Cup winners again hosted the match at Turners Cross. Last season, the Preliminary & 1st Rounds comprised ten junior league winners and the FAI Junior Cup winners. The four teams emerging were joined by the top two AUL clubs for the 2nd Round, and the winners then faced the top five LSL teams before the 12 League of Ireland teams from Leinster enter the 4th Round. Following previous practice, the last sixteen teams from the 2016/17 Intermediate Cup and the four Semi-Finalists from the 2016/17 FAI Junior Cup were invited to enter the First Round of the 2016 Senior Challenge Cup. 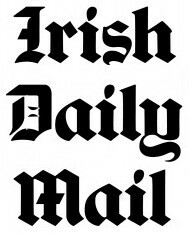 The Intermediate clubs are: Liffey Wanderers, St Marys, Cherry Orchard, Everton AFC, Glenville, Edenderry Town, Crumlin United, Ballymun United, Ballincollig AFC, Bluebell United, Bangor Celtic, Greystones United, Cobh Wanderers, Killester United, College Corinthians & Portmarnock AFC. 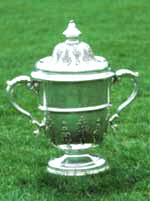 The Junior Cup Semi-Finalists are Killarney Celtic, Sheriff YC, Evergreen and Boyle Celtic. The FAI drew a "Qualifying Round" involving sixteen of the non-League teams, with four receiving Byes to the First Round, when they will be joined by the 20 League clubs.